Arena Beach Hotel Free Child Places Corralejo | @Web2travelDeals. 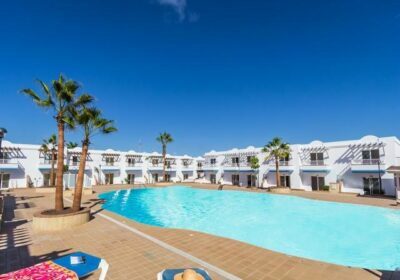 Arena Beach Hotel Free Child Places Corralejo, Fuerteventura Low Deposit Family Holidays @Web2travelDeals. Arena Beach is set in a quiet area on the outskirts of the resort and overlooking the sand dunes of Corralejo Natural Park. This 4 star hotel is an ideal choice for those looking for a laid-back break in Fuerteventura. Beautiful clean hotel. Friendly staff and food was good. The swimming pool and surrounding area are cleaned every day. Food is delicious with a varied menu. Excellent location 15 to 20 minutes walk to centre and harbour. The complex is situated on the edge of the Sand Dunes of Corralejo Natural Park. The beach is approximately 1.4km from the hotel. Fuerteventura International Airport is 38km from the hotel. Choose from Double or Triple Apartments. All Apartments have a twin bedroom, a living room with sofa bed, bathroom, fully-equipped kitchenette and a balcony or terrace. Other features include air conditioning, TV, a hairdryer and both a safety deposit box and FREE Wi-Fi access. Arena Beach has a large outdoor swimming pool as well as a pool for children surrounded by loungers and parasols. The complex also offers a fitness suite, TV lounge and fully-equipped spa with sauna. The hotel also provides evening entertainment in the marquee. The on-site restaurant offers buffet service at breakfast, lunch and dinner and serves a range of international cuisine. There is also a pool bar with outdoor terrace, serving refreshing drinks and tasty snacks throughout the day.